Often overlooked, the Cimmaron is on of the best small streams in New Mexico. A beautiful mountain freestone stream in Northern New Mexico, the Cimmaron provides top quality fly fishing. 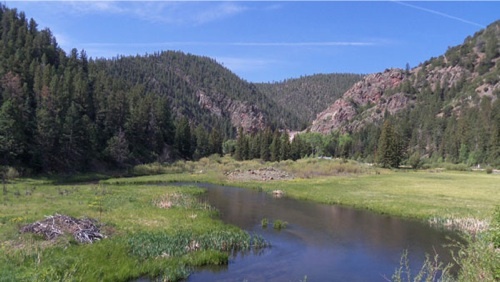 Located a few hours north of Albuquerque, the Cimmaron River offers multiple access points. Contact us for more details. How's The Cimmaron River Fishing? Fishing should be picking up however, we have no current reports.